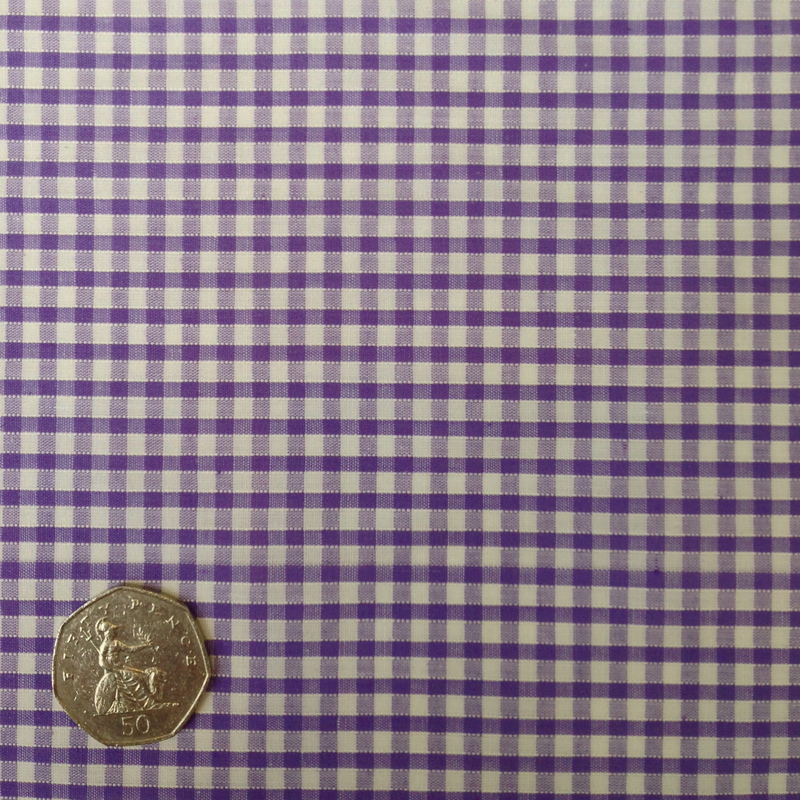 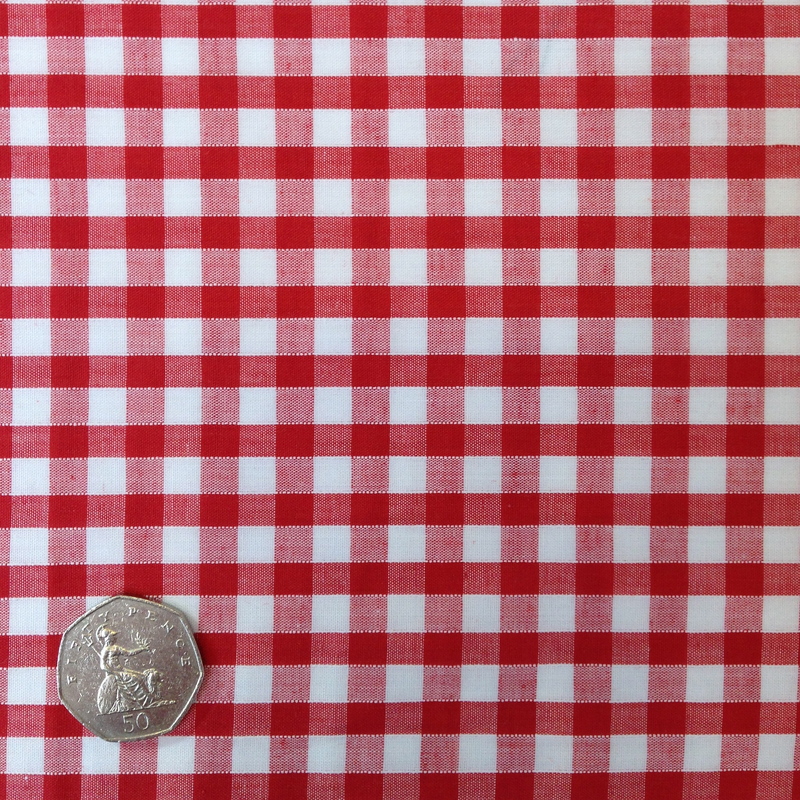 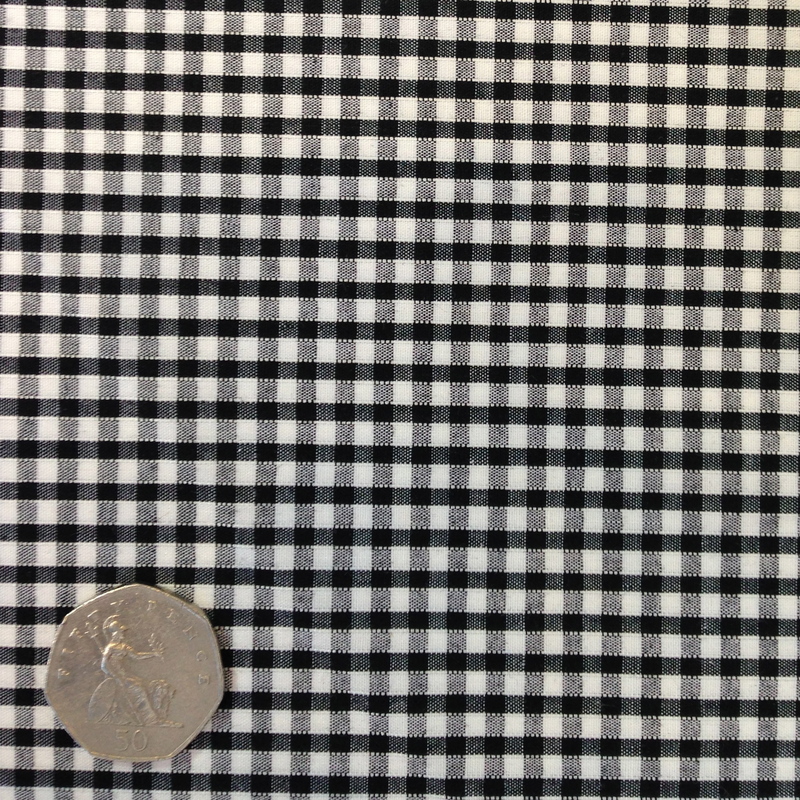 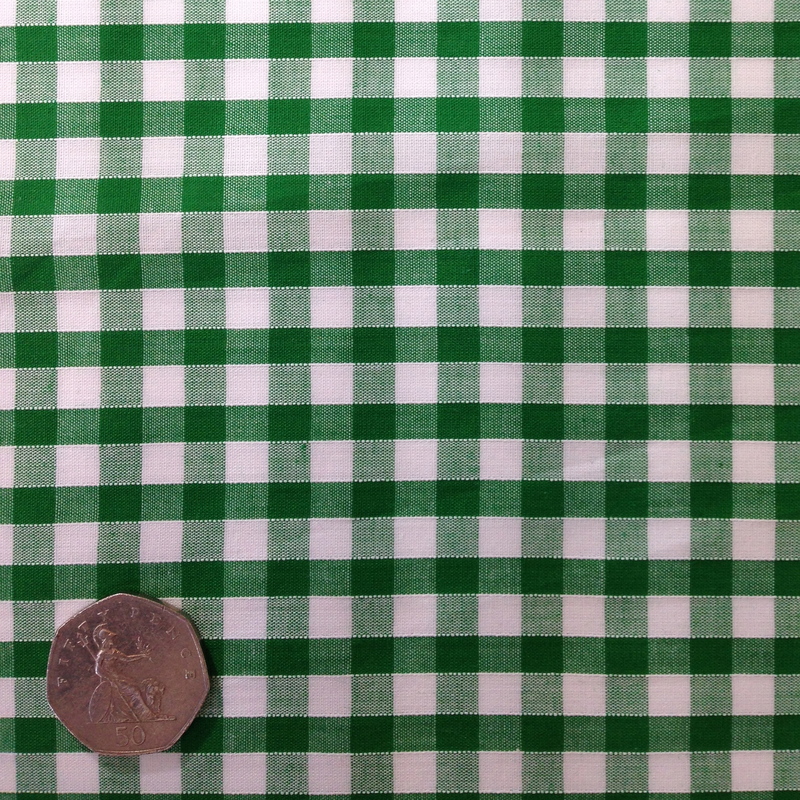 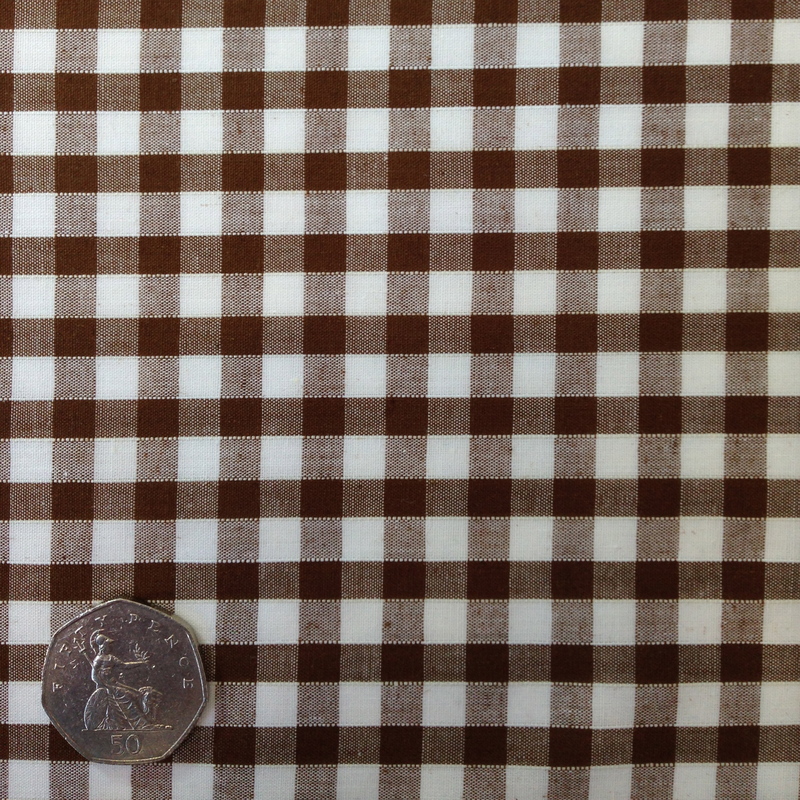 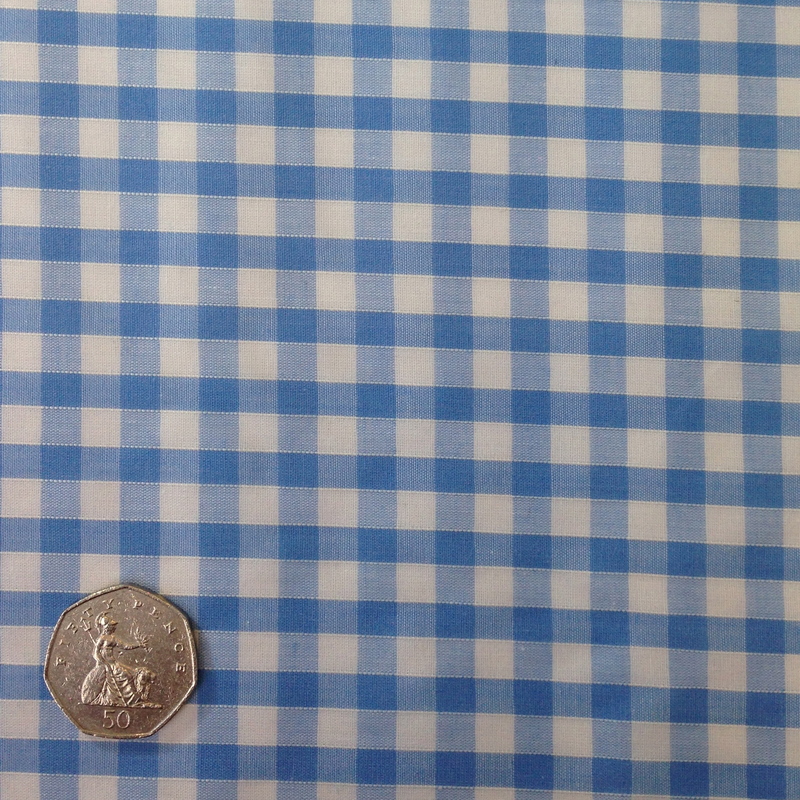 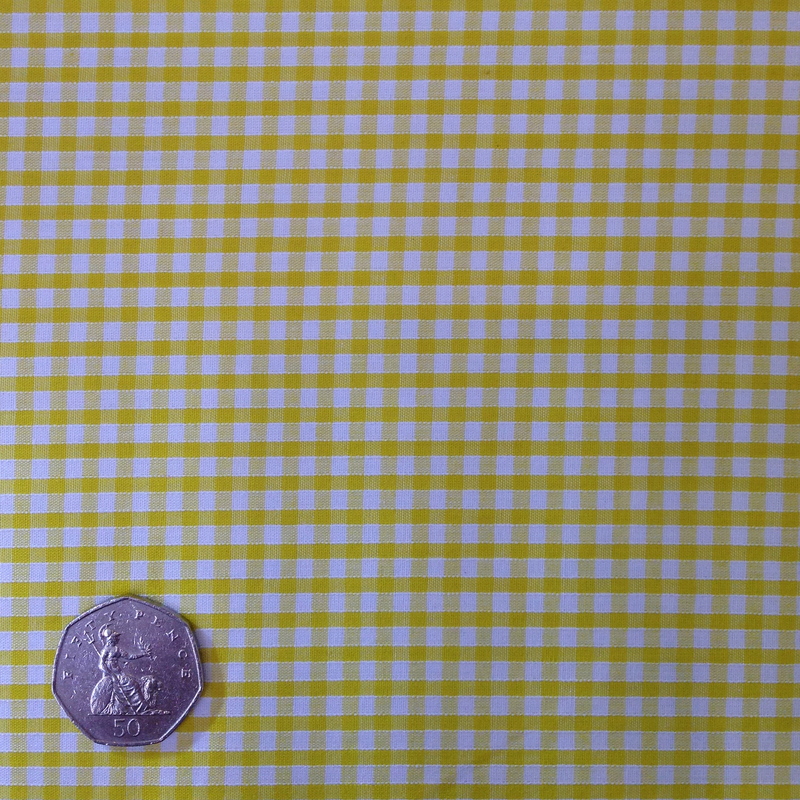 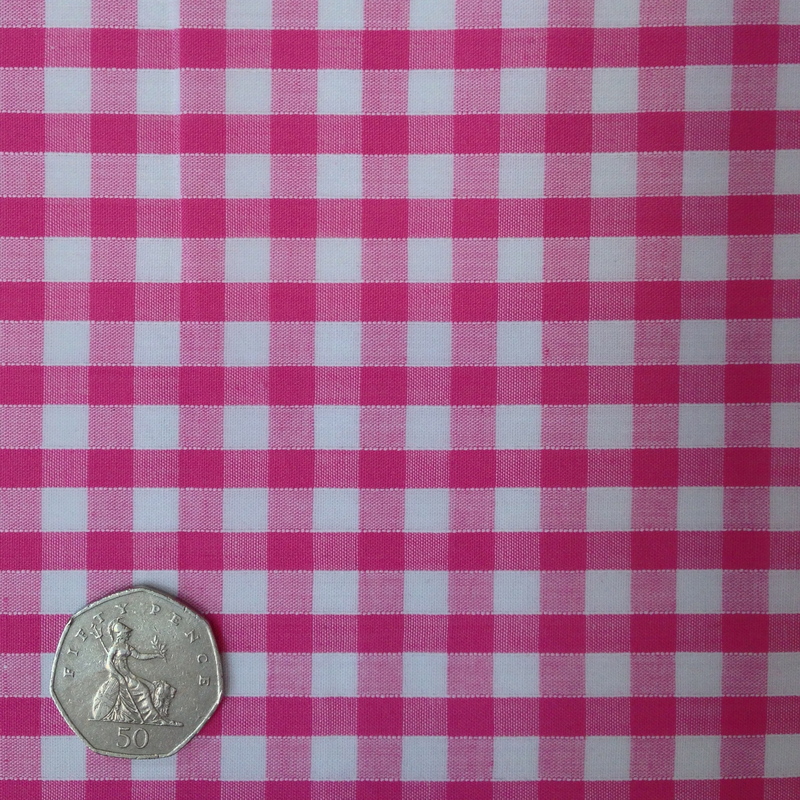 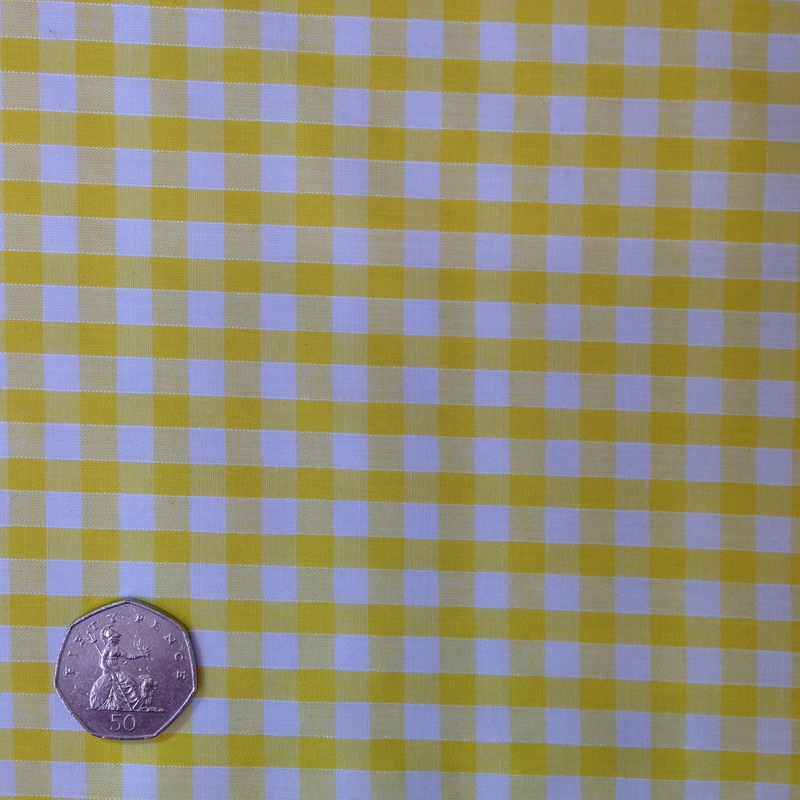 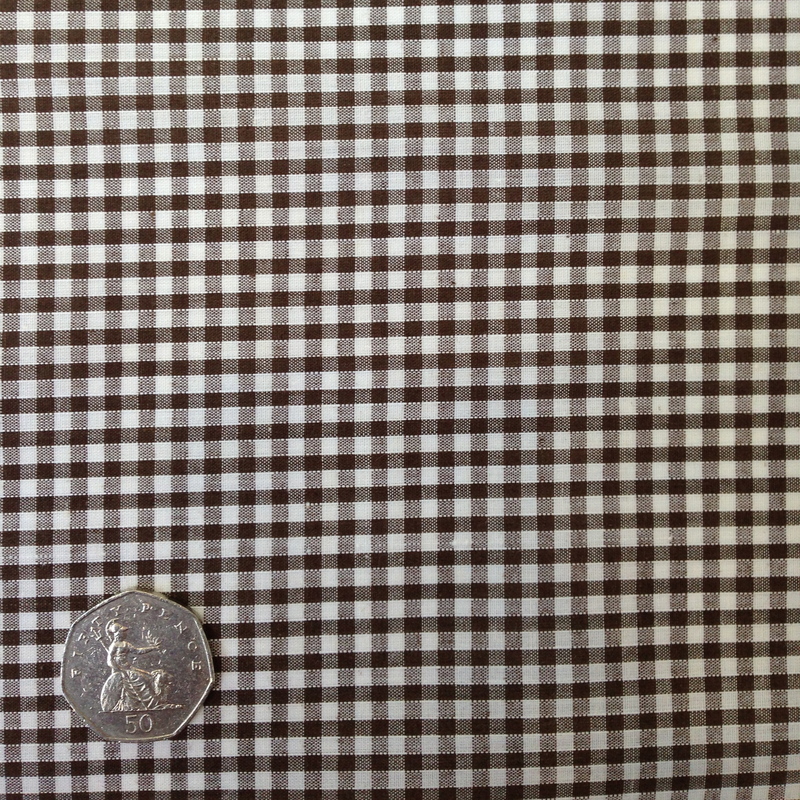 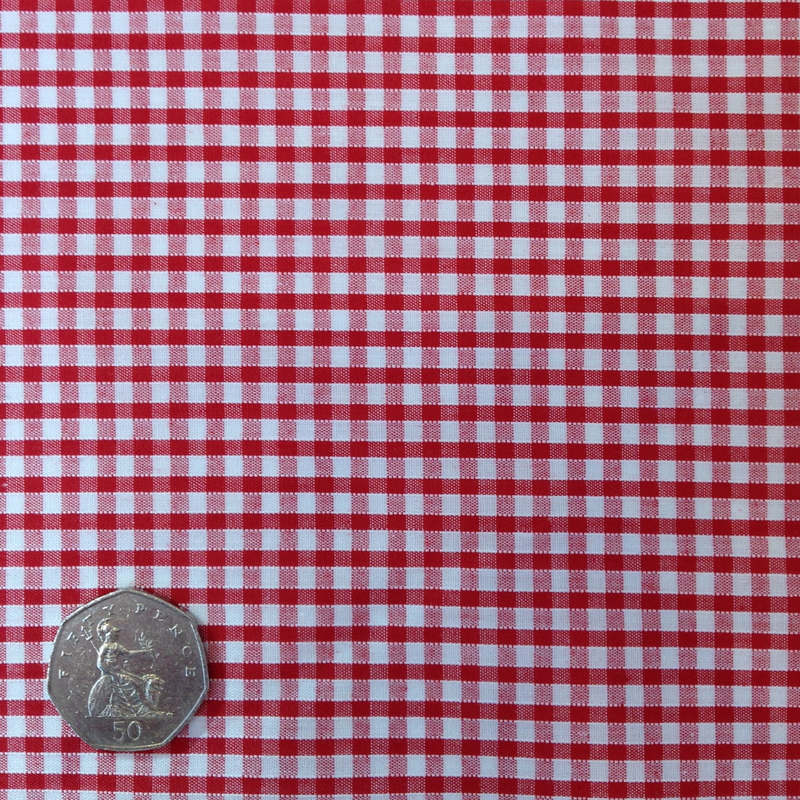 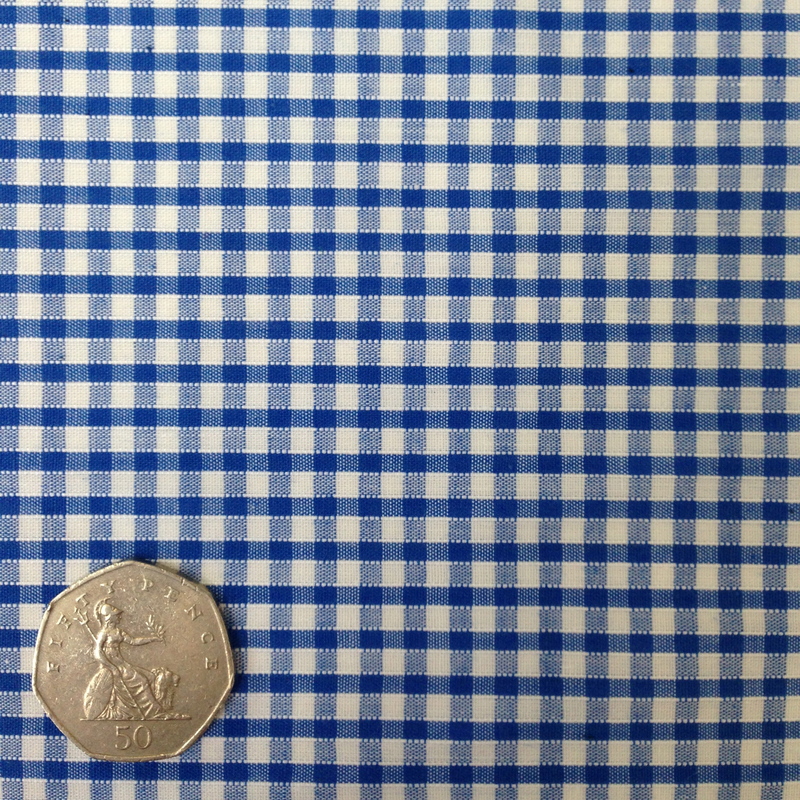 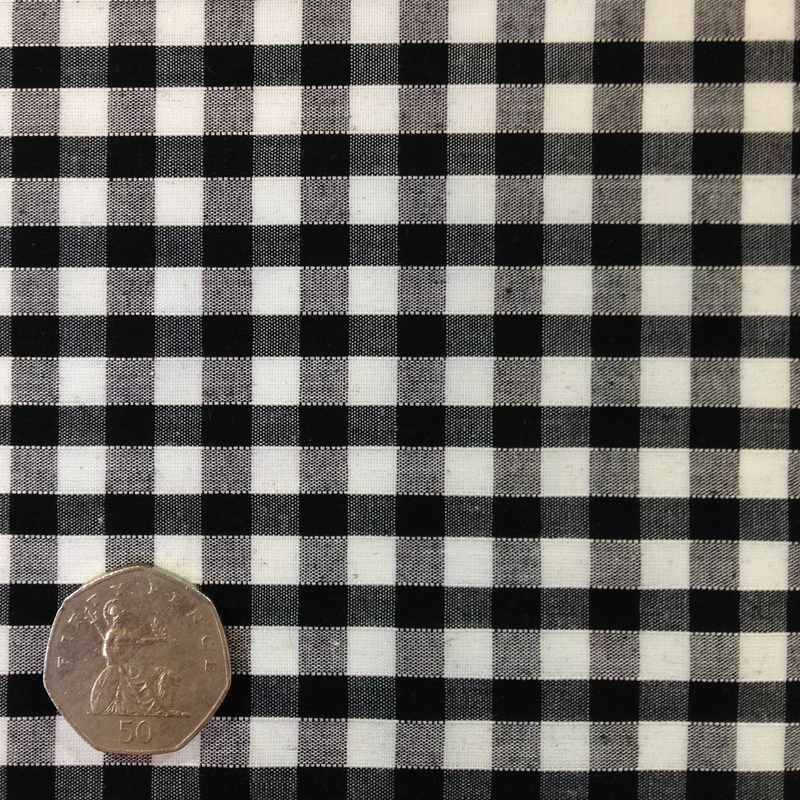 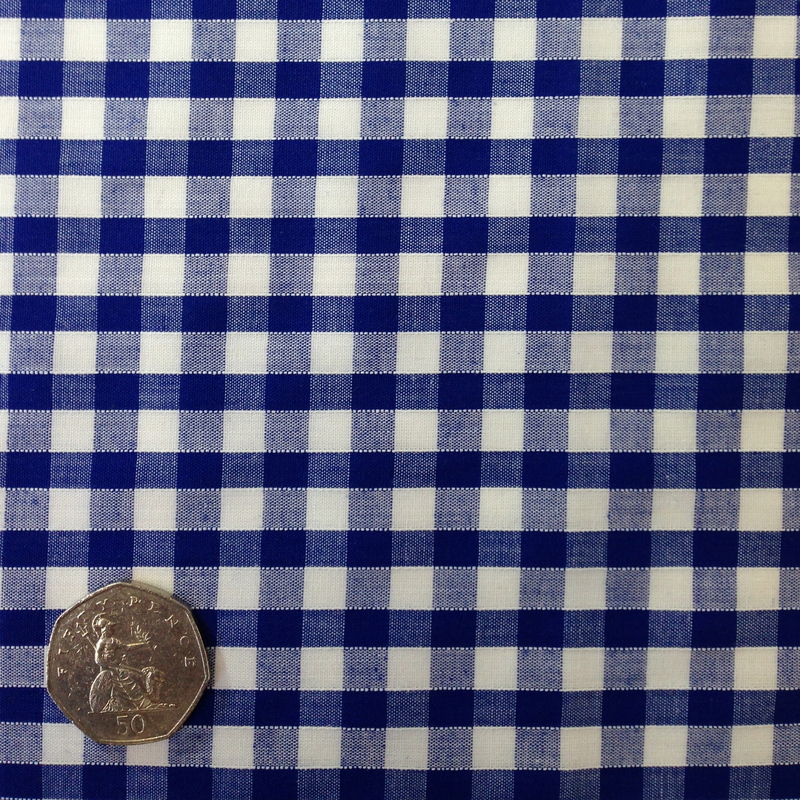 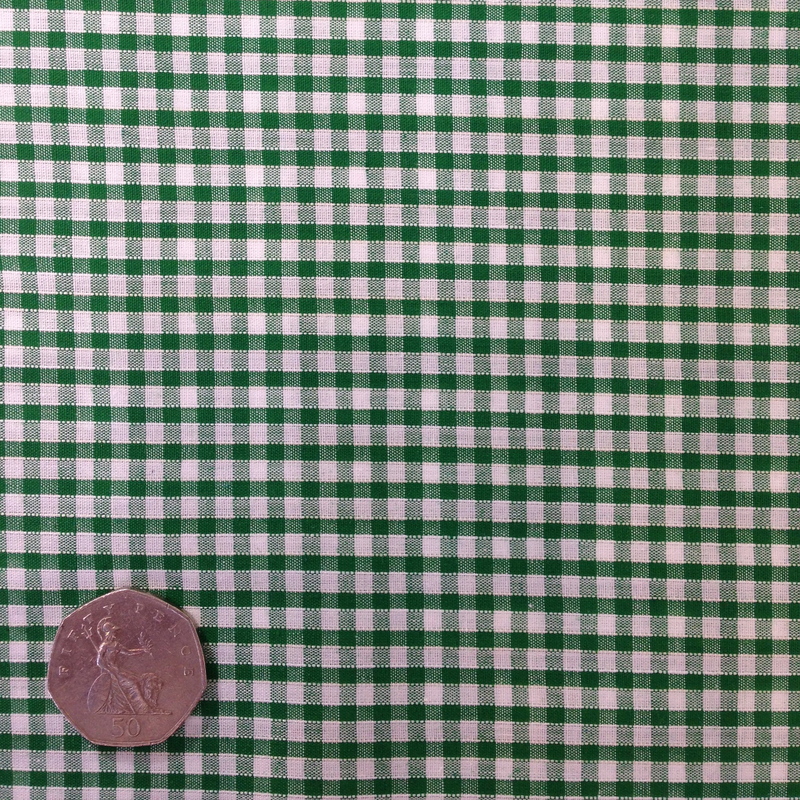 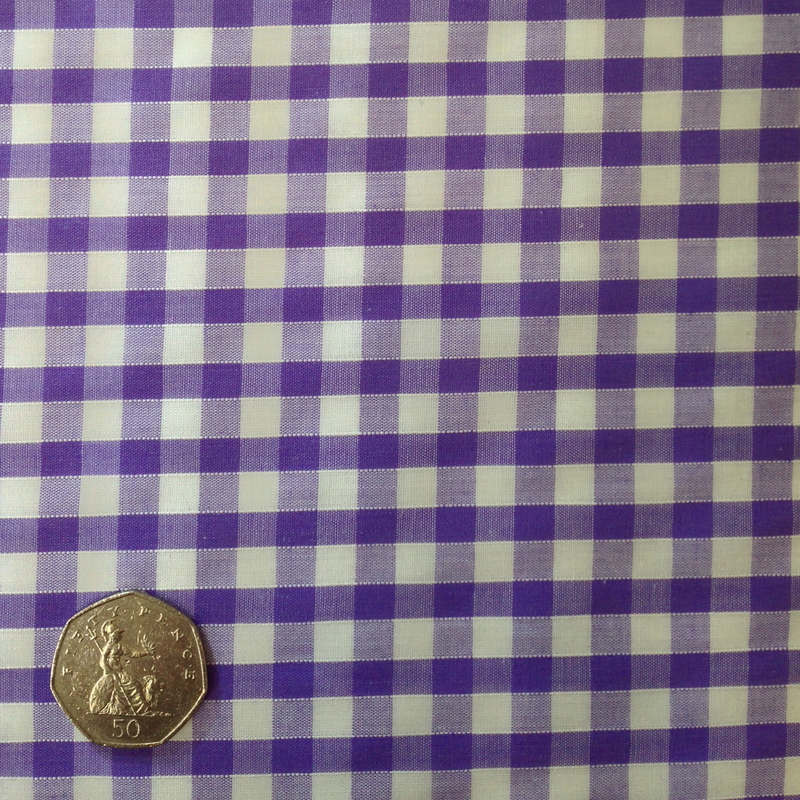 This is traditional Gingham Fabric; A classic yarn-dyed, plain weave cotton/polyester checked fabric. 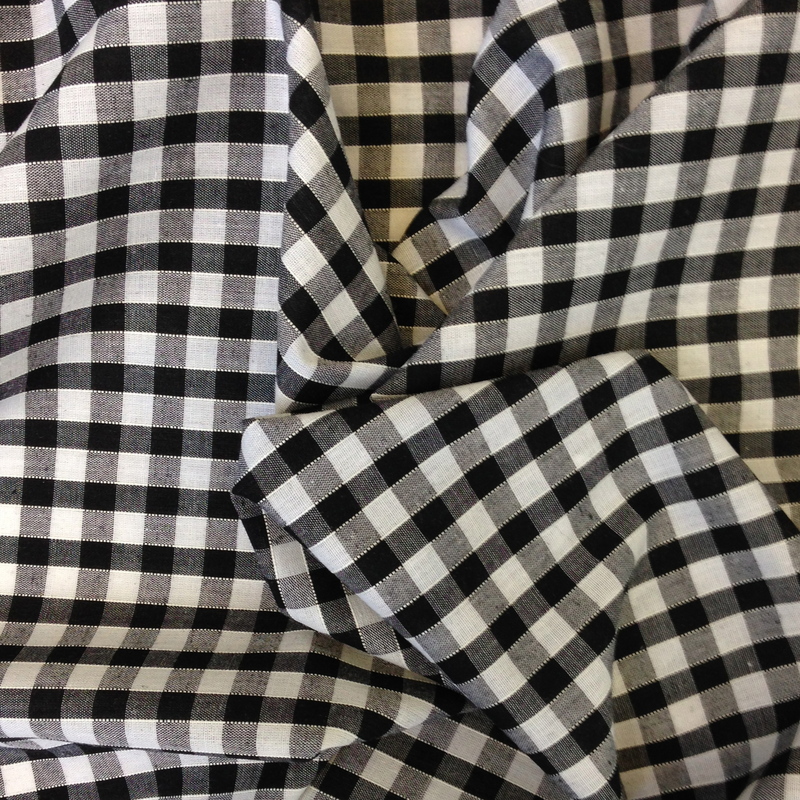 This lightweight, yet robust fabric has a variety of uses – from kitchen curtains (it gathers beautifully on a net-curtain wire) to summer dresses. 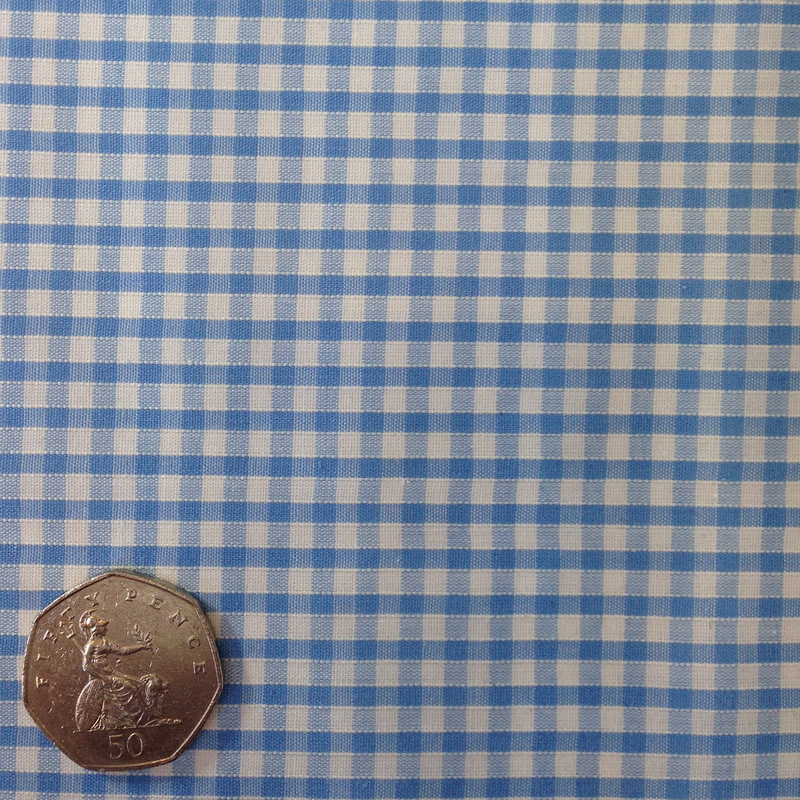 Why not make a Ben Sherman style 60’s mod shirt? 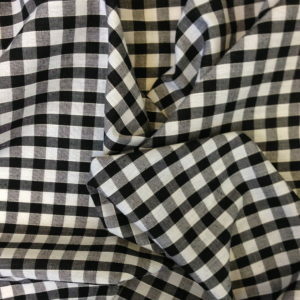 or a Dorothy-esque checked frock for a Wizard of Oz fancy dress outfit? 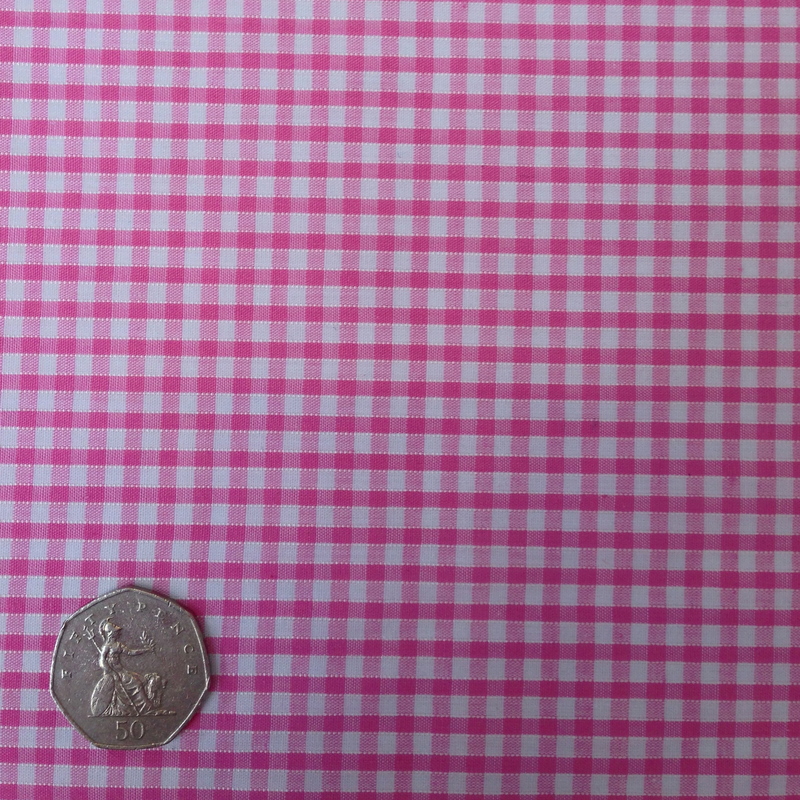 Gingham is bang on trend again; Brigette Bardot caused a storm in 1959 when she married Jacques Charrier in pink gingham, making the colour way so popular then that there was a shortage in France-don’t worry we have plenty in stock ! 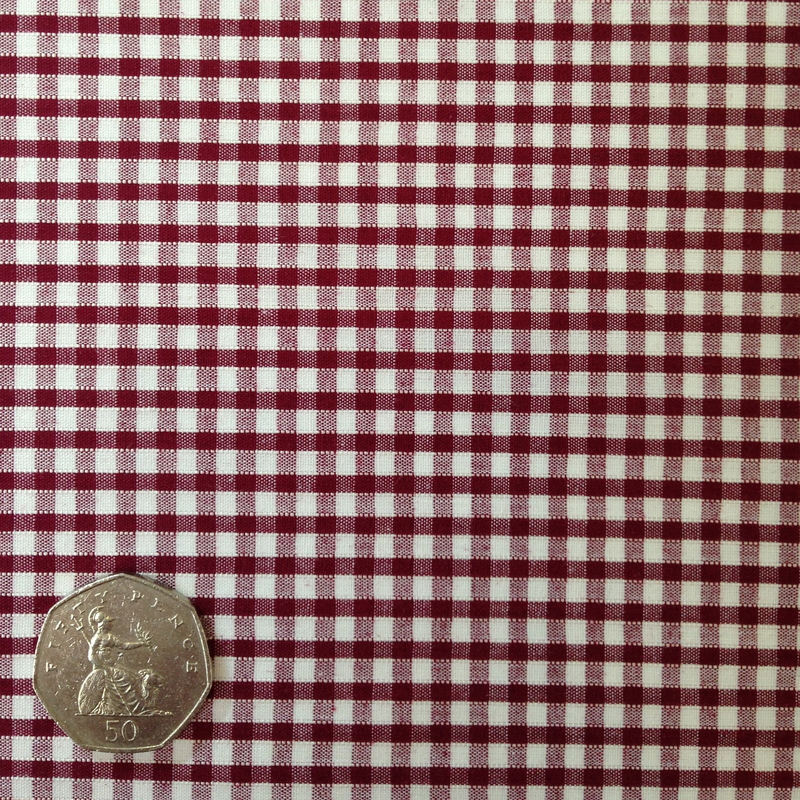 This cotton mix fabric washes again and again making it economical and versatile.